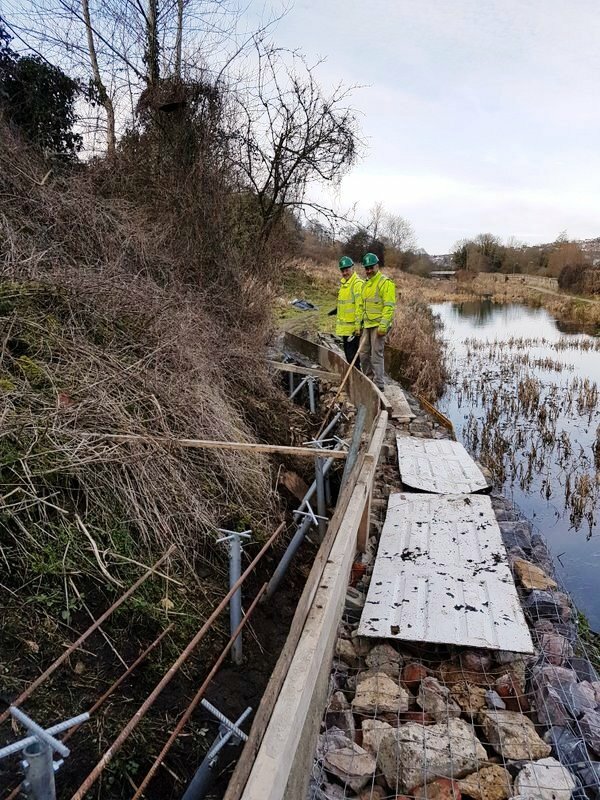 Cotswold Canal Trust got in touch via our website in regards to a bank on the Thames and Severn canal that needed stabilising. They had heard about us from one of our previous customers, who we helped with the Dursley Tree House project featured on Grand Designs in 2016. 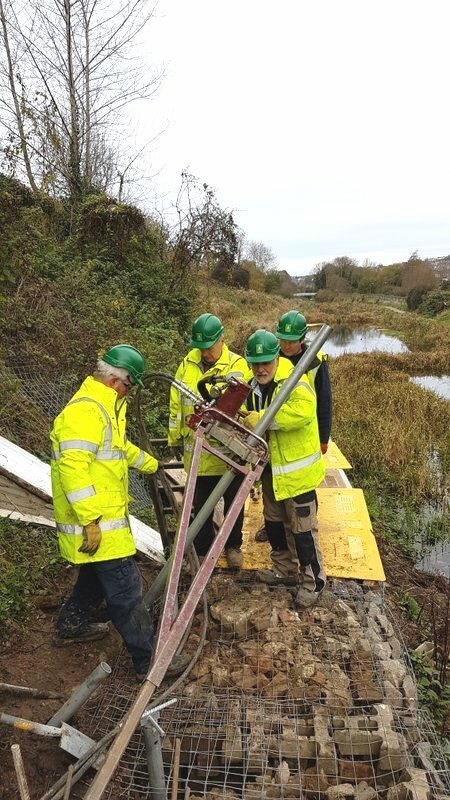 One of our team visited the site at Ham Mill Lane in Stroud to discuss a solution to stabilise the failed canal bank with the volunteers from the trust. 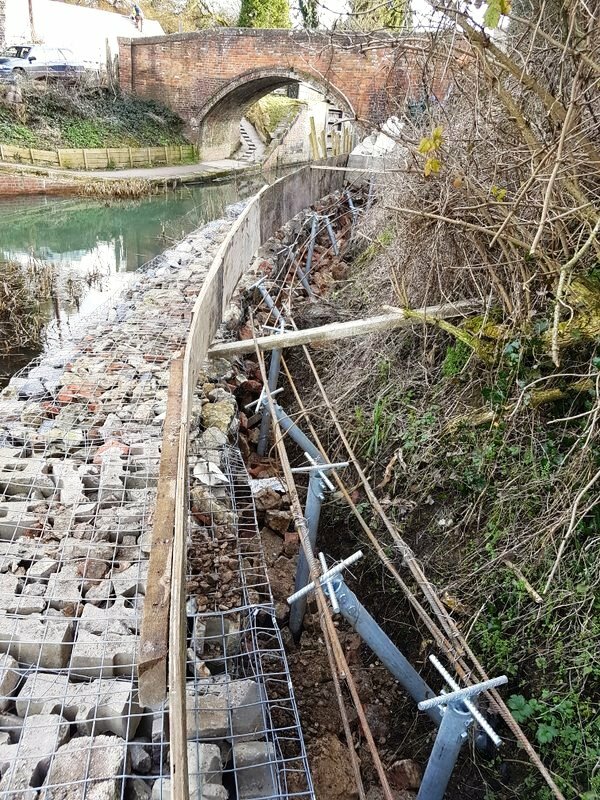 A screw piling solution to support the gabion retaining structure was developed with their Structural Engineer to install 60R screw piles both vertically and raked at 45 degrees using our 400H handheld anchor driver. This stabilisation would allow the Thames and Severn canal to be dredged. The work also formed a small part of a wider effort to eventually reopen the canal for public use. 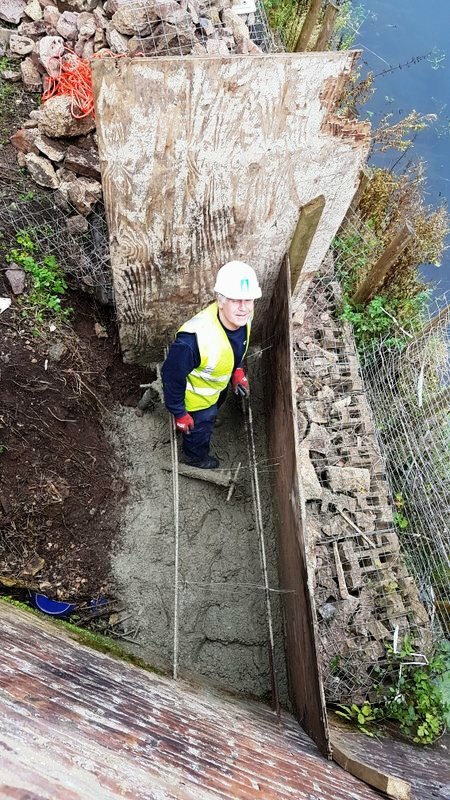 As a result of our solution and the volunteer team's hard work, more material was prevented from falling into the canal, and they were able to support an adjoining neighbour’s garden from falling further down the hill. The volunteers were inexperienced in screw piling so an engineer attended site to provide training on the safe use of the equipment. We assisted them with safe working methods to allow them to pile at 45 degrees on a steep slope. We enjoyed working with the Cotswold Canal Trust as the team are all volunteers, so they were keen to learn and get stuck in. We are now assisting the trust with the design of a further 4m high gabion retaining wall which will be supported on screw piles. We are keen to see how this second project progresses and hope to continue to be involved with the wider project of re-opening the Thames and Severn Canal for public use. If you have a project in mind and are considering using screw piles due to their many benefits, please don't hesitate to get in contact with us.